The American Health Council is proud to welcome Haley Love RN, OCN to its Board of Nurses. An active nurse researcher and Nurse Case Manager, Love will be contributing her expertise in gynecology, immunotherapy, and urology to the wealth of experience on American Health Council’s Nursing Board. Love’s capabilities and interest in healthcare run in her veins. A third-generation nurse, she inherited her mother and grandmother’s passion for superior clinical care. Her disciplined upbringing bolstered her clinical talents and taught her a value for hard work that shapes the patient care she administers as an RN in the present day. Love also attributes her success to her dedication and ability to be well-grounded as she works. For her, nursing is a labor of love. Earning her ADN from the same school as her mother and grandmother, Love graduated from Cabarrus College of Health Sciences in Concord, NC in 2014. She then attained OCN certification to specifically sharpen her clinical skills. Her enthusiasm for clinical care and desire to further develop her nursing skills motivated Love to pursue further nursing education. 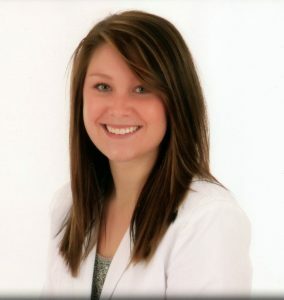 She is currently an RN-BSN student at Appalachian State University in Boone, NC. The foundation for Love’s practical expertise is five years within the healthcare setting and three years as a registered nurse. She works as a Urology Oncology Nurse Case Manager at the U.S. Department of Veteran Affairs Medical Center in Salisbury NC, employing her considerable nursing proficiency for Veteran healthcare. Love recently assumed the role of Oncology Research Nurse Specialist at Carolinas Healthcare System where she could channel her legacy of superior patient care through her work in clinical trials. Moreover, Love contributes cutting-edge scientific knowledge to the front line of clinical advancement. She spent one year in her role as a research nurse, where she studied medication effects and treated tumors and various diseases. Love used her training to determine patient eligibility and conducted follow-up appointments where her compassion and clinical insight are especially valuable. Her academic dedication was acknowledged with a scholarship to attain her BSN from the Oncology Nursing Society. 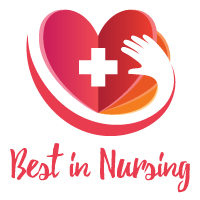 Additionally, her commitment to quality patient care in the nursing industry has been honored by KEAP Award (key engagement award). She is acting Fundraising Co-Chair of the Greater Charlotte Area Chapter of Oncology Nursing Society (ONS). Love anticipates further educational training in the future, hoping to attain a master’s degree in administration or education. True to her nursing integrity, she will continue to be a great leader and lead others in her profession by example. In her spare time, Love cultivates a diverse slate of personal interests and hobbies. She enjoys listening to music, attending live music shows, watching, and playing basketball. As a testament to Love’s passion for helping others, she donates her time and resources regularly to the Human Rights Committee based in her hometown, as well as giving back regularly to the Veterans in her community. The American Health Council looks forward to adding Love to its nationwide collective of health leaders and innovators. Veteran Administration operates the nation’s largest health care system, with more than 1700 hospitals, clinic, & other facilities. Expertise in Urology, Oncology, Gynecology, Immunotherapy, & Nursing. Third-generation nurse, she inherited her mother & grandmother’s passion for superior clinical care.